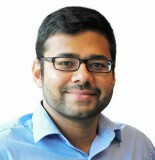 Nishant is VP of the OCT division at Wasatch Photonics’ Durham, NC site. He leads the efforts toward development and commercialization of novel optical coherence tomography products. In the 5 years prior to joining Wasatch Photonics, Dr. Mohan was a research fellow and senior R&D engineer for optical and medical entities. He holds a PhD in Biomedical Engineering from Boston University and undergraduate in Electronics and Communication Engineering from Indian Institute of Technology, Guwahati, India. Dr. Mohan is a member of SPIE, the International Society for Optics and Photonics, and serves on its standing committee for public policy.